Bits of fresh green cucumbers. Pale eggshell-white ginger. Magenta-hued pomegranate. 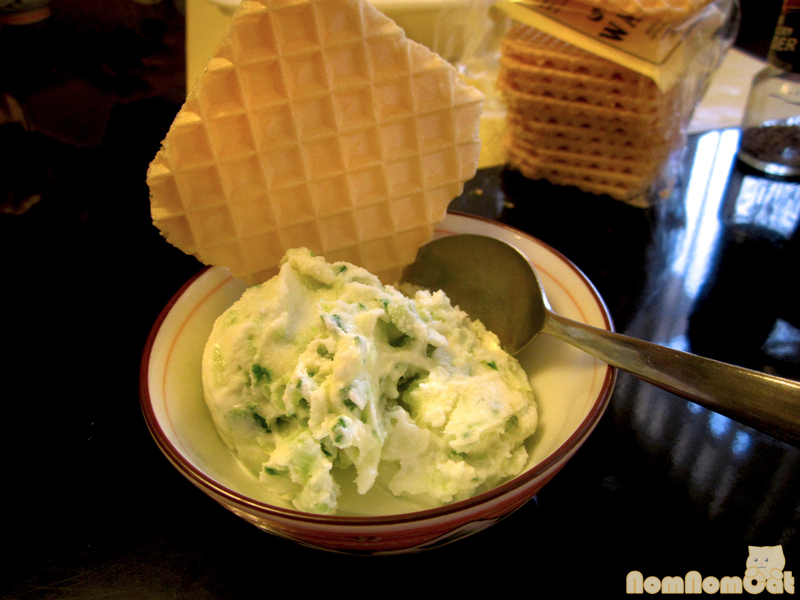 And of course, golo bol bol – the namesake saffron and rose ice cream. 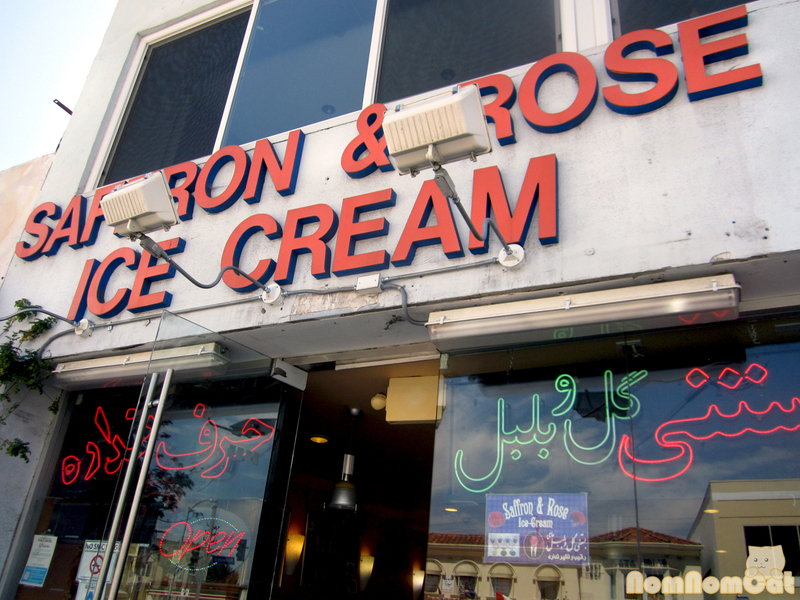 A mom & pop ice cream shop that serves up homemade Persian ice cream made with whole organic milk, Saffron & Rose attracts crowds of locals and Westwood visitors alike. And as UCLA alumni who never left the Westside, we find ourselves visiting quite often, sometimes once a week during the summer months. 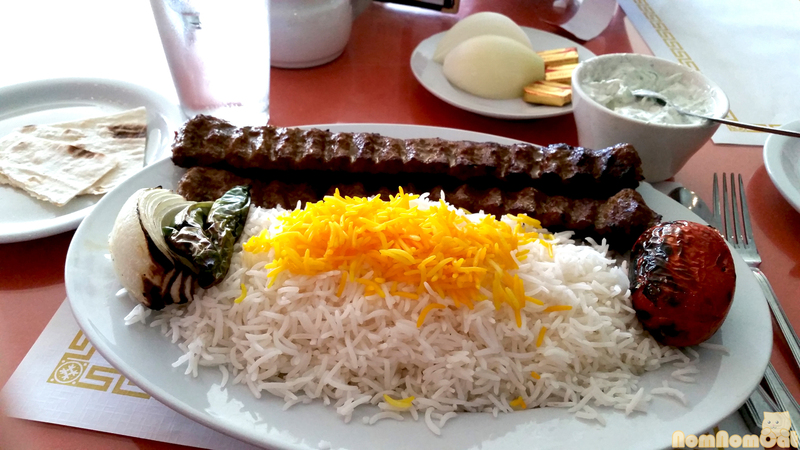 The very first time we went, there was a lovely woman (the owner’s wife, I believe) who offered us samples of just about every flavor – an impressive feat, considering that there are over 20 flavors at any given time, ranging from “American” flavors like chocolate to more traditional Persian flavors. 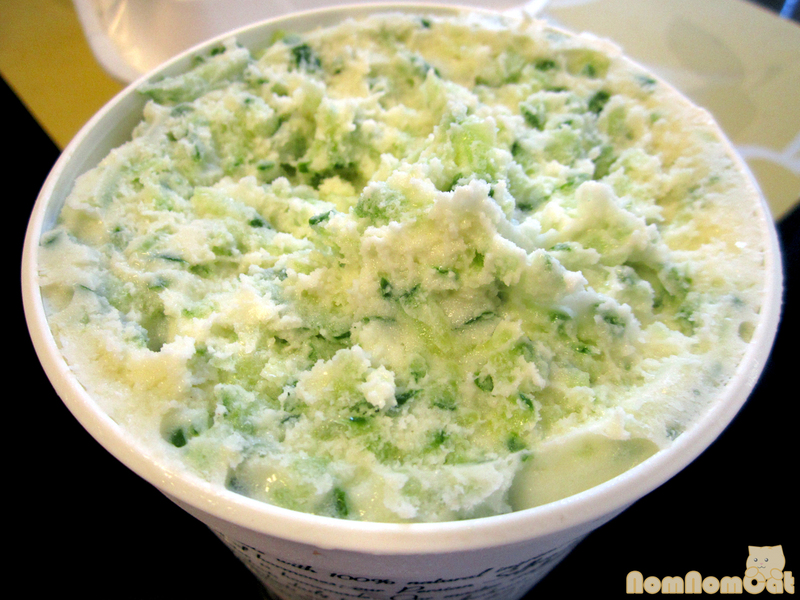 It was then, over three years ago, that I first fell madly in love with cucumber ice cream. 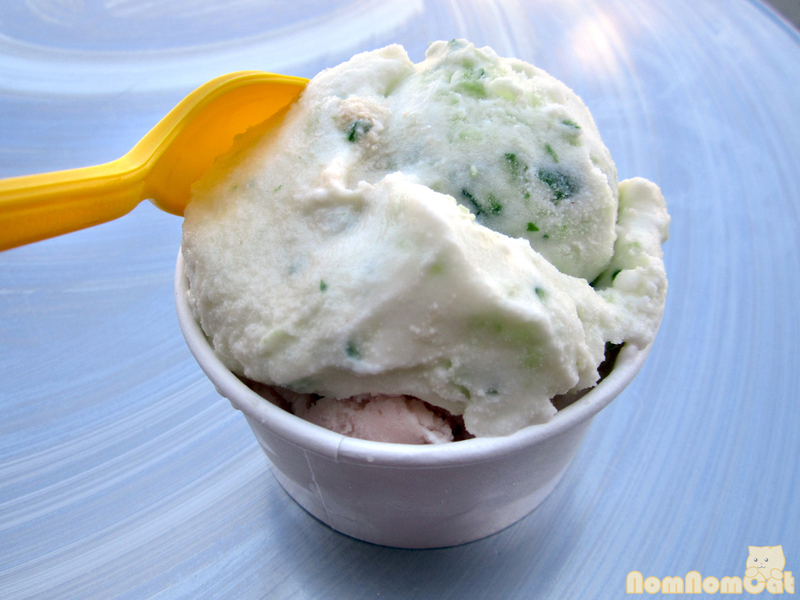 That’s right folks – bits of bright green, fresh and crispy cucumber folded into a sweet, rosewater scented Persian ice cream. If you haven’t tried it yet, you must. It will complete you. A small cup allows you to choose up to two flavors. Though I will often go with cucumber-only, I have been convinced from time to time to try something new alongside my mainstay. There is an older man (the owner) who is also generous with the samples; we had a conversation once about his inspiration for new flavors. It turns out, he follows the local farmer’s market trends and new seasonal produce at the Co-Opportunity in Santa Monica for ideas. That particular time, I was asking about their relatively new flavor – ginger. Sweet and spicy, the ginger flavor packs a punch and is the perfect foil for the cool, mellow cucumber. The ginger & cucumber was my favorite combination until we met this younger guy Fred who’s been manning the ice cream counter as of late. He always seems to have a new fruit + cucumber combination for me. 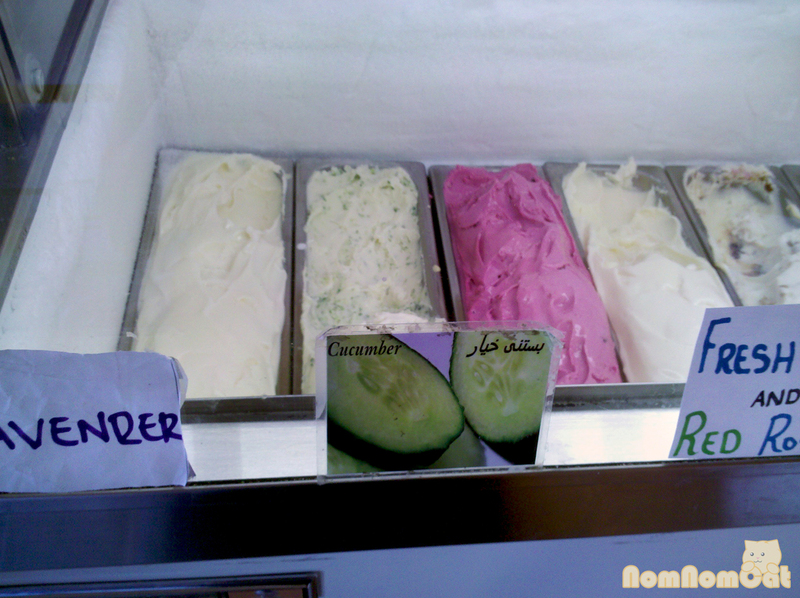 First it was cantaloupe with cucumber (delicious) but then… then there was the guava and cucumber. Amazing. Sweet tropical fruitiness and light, refreshing veg – oh, summer. Also noteworthy are the lavender and white rose flavors, both of which are unique in their delicate floral notes. So good. Despite the many tempting options, Martin is a guy who knows what he likes. Every single time (except on the sad, sad days when they are sold out), his flavor of choice is the cappuccino – rich, creamy, and most importantly, packed with crunchy chocolate nibs. 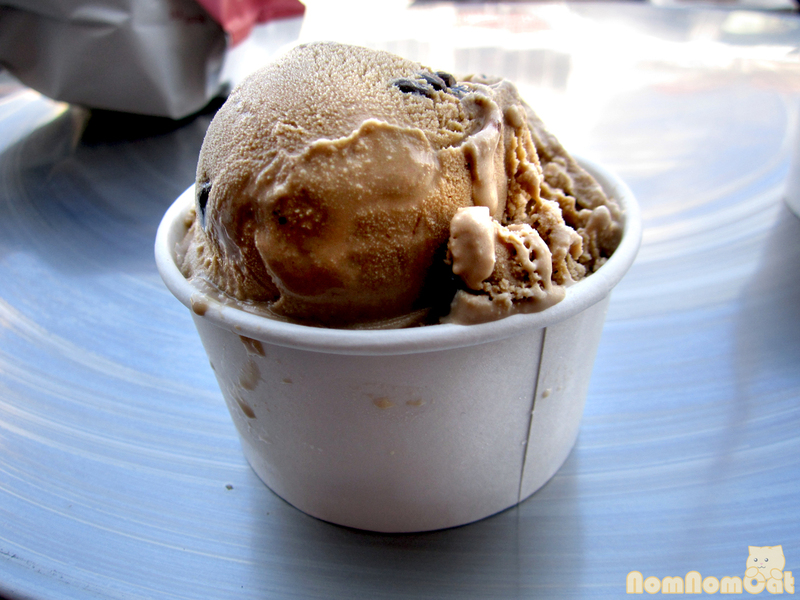 Not to be confused with the coffee ice cream, which is smooth and otherwise ordinary, the cappuccino is so good that Martin will bring home an XL-sized tub of it for later. Immediately behind the counter is a freezer filled with prepacked ice cream. If they don’t have your desired flavor, however, have no fear – they will hand pack containers of ice cream for to-go purchases as well. Since they have a preset production schedule, we try to plan our visits on days when we know they will have plenty of our favorite flavors in stock. If we’re extra lucky, we like to grab some to bring home for later, although personally, I think the texture hardens up a bit too much in our freezer at home. 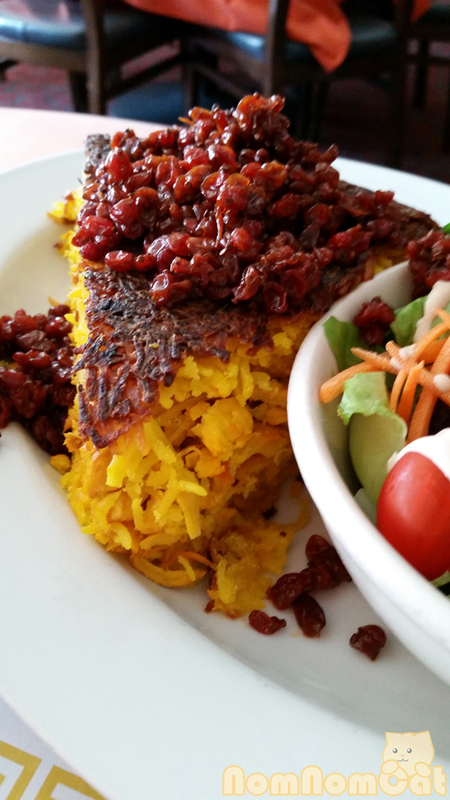 When you’re at the store, don’t forget to look for the wafers, sour cherry syrup, and lemon juice – all traditional toppings for faloudeh. 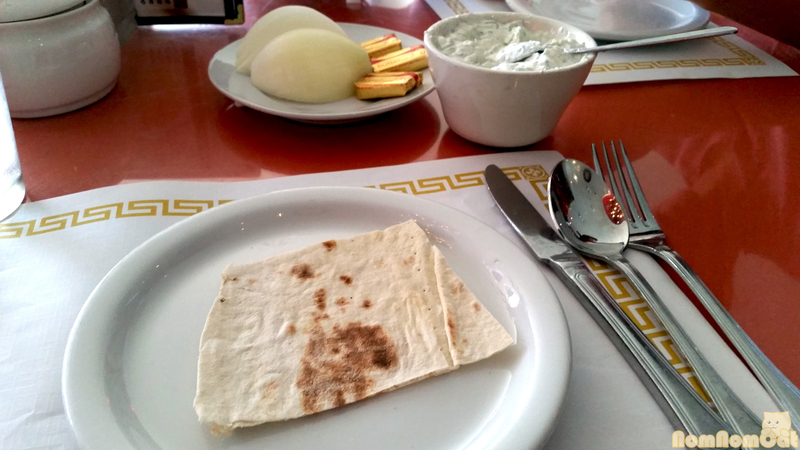 Bring cash ($10 minimum for credit cards) and an open mind (the texture of Persian ice cream is creamier and more interesting than regular sabayon-based ice cream). And trust the friendly faces behind the counter – they are so pleasant and always seem willing to help first-timers find their new favorite ice cream obsession. Be salâmati~!